Grease is the word! 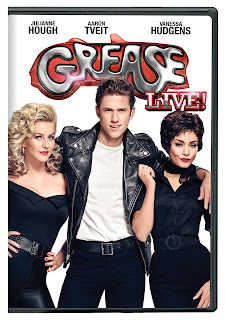 The landmark, live television production of the beloved musical Grease makes its home entertainment debut with Grease Live! now available on Digital HD and coming to DVD March 8, 2016 from Paramount Home Media Distribution. Hailed by critics as “the best Grease ever” (Darren Franich, EW .com) and “a big old win in every possible column” (Amber Dowling, The Wrap), the live event produced by Paramount Television garnered an average of 12.2 million viewers, delivering Fox’s largest overall audience of the season. GREASE LIVE! also ranks as the #1 most viral live musical event ever, based on unique posts and audience impressions on social media. GREASE LIVE! was produced by Paramount Television. Acclaimed film, television and theater producer Marc Platt (Wicked, Into the Woods) served as executive producer; Tony Award-nominated director Thomas Kail (Hamilton, In the Heights) was the director overseeing the stage direction and Alex Rudzinski (“Dancing with the Stars”) was the live television director. The live television adaptation was written by Broadway writers Robert Cary (Anything but Love, Ira & Abby) and Jonathan Tolins (Buyer & Cellar, The Last Sunday in June). 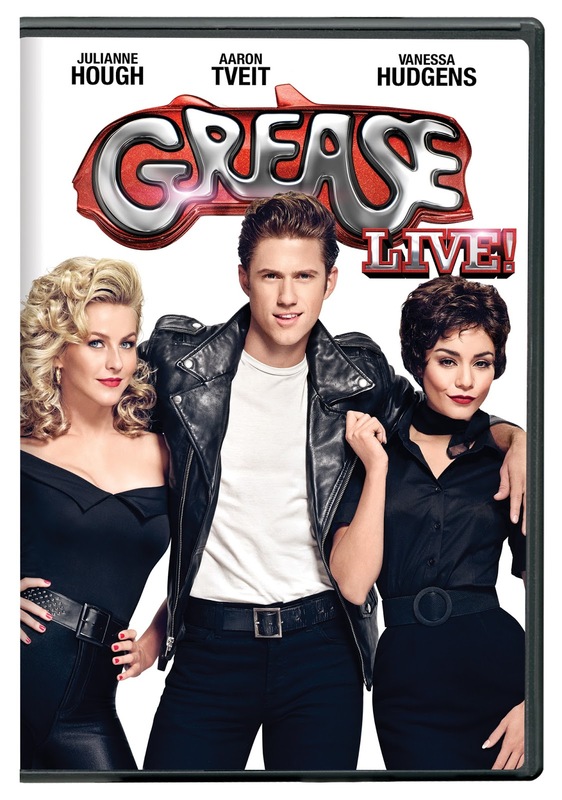 Purchase Grease Live! on Amazon for $12.99 & FREE Shipping on orders over $49. As a huge Grease fan, I was so excited to watch Grease Live and it did not disappoint! The cast and crew were amazing. So much talent and to be able to do it live without any errors, it was trully a great musical to watch and my favorite "live" show to date! From the opening number "Grease is the Word", you get reeled in and want more! Vanessa Hudgins was amazing as Rizzo, her version of "There are Worse Things I Could Do" will give you chills. I appreciated that this version was toned down from the original and that some of the words to the songs were changes as well. It made it more friendly for tweens. This is the perfect was to get another generation hooked on Grease! About Paramount Home Media DistributionParamount Home Media Distribution (PHMD) is part of Paramount Pictures Corporation (PPC), a global producer and distributor of filmed entertainment. PPC is a unit of Viacom (NASDAQ: VIAB, VIA), home to premier media brands that create television programs, motion pictures, consumer products, and digital content for audiences in 180 countries and territories. The PHMD division oversees PPC’s home entertainment and transactional digital distribution activities worldwide. The division is responsible for the sales, marketing and distribution of home entertainment content on behalf of Paramount Pictures, Paramount Animation, Paramount Vantage, Paramount Classics, MTV, Nickelodeon, Comedy Central and CBS and applicable licensing and servicing of certain DreamWorks Animation titles. PHMD additionally manages global licensing of studio content and transactional distribution across worldwide digital distribution platforms including online, mobile and portable devices and emerging technologies.